Comments: Sometimes success on the street comes from a mysterious combination of elements. Via this weird sort of alchemy the mixture of talent, passion and drive create a magical formula for success. Leave any one element out of the equation and the results would be dramatically different. 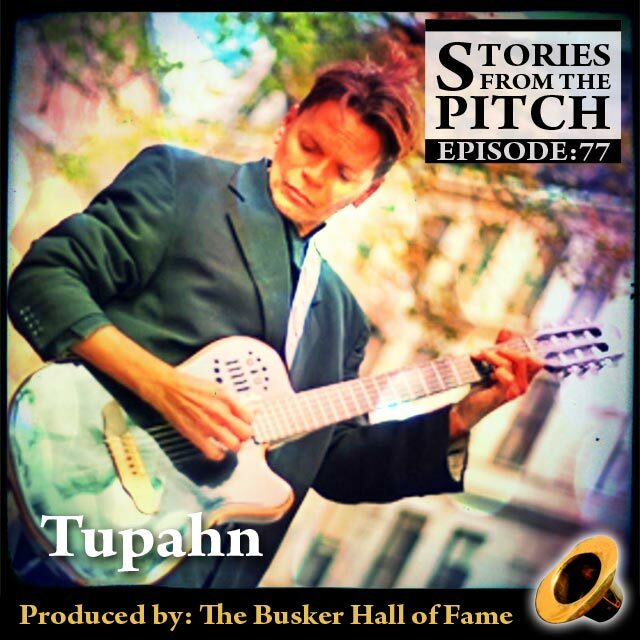 Born in Rio de Janeiro, raised in New York City and trained at the Julliard School of Music, Tupahn didn’t wait for opportunity to knock, he created his own opportunity by taking his unique style of playing out to Central Park’s Strawberry Fields and becoming a local celebrity. Ever since, the passion with which he plays has touched audiences around the world. Al Millar sat town with Tupahn in Boston to uncover the backstory behind the man who often travels with his own entourage and about what it takes to make it on the streets as a musician.